Elisa doesn’t want to get carried away but she really likes Don. She met him through an internet dating service and things have been going well. They have had a few dates but she is particularly excited about today. Don is going to show her his plane. She had never met anyone that owned their own plane. Who knows, he may even give her a ride in it. She was supposed to meet him at a private hangar at a local airport. While she prepared her hair and makeup, her phone rang. They agreed to meet about 3 hours later. Elisa could barely contain herself. Finally, the hour arrived and she drove to the airport. 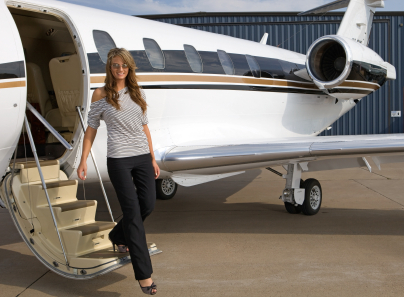 She noticed a few beautiful jets at the private hangar and wondered if one of those belonged to Don. She waited for 20 minutes before calling Don. The phone rang 6 times before Don answered. “Don, did we agree to meet at 4 o’clock? I have been waiting for you?” Elisa says. “I am sorry Elisa, but we are going to have to cancel,” Don replies.